This workshop addresses the need for a racial equity framework in cultural institutions by providing administrators with a sampling of racial equity trainings led by racial equity educator Tammy Johnson. In this workshop, participants will begin shifting the current culture of diversity thinking into a culture for equity and inclusion. This workshop particularly calls out to emerging, junior level, and mid-career administrators of color who are seeking support in shifting the conversation from racial diversity to racial equity in their cultural organizations. The invitation is extended to cultural equity allies, leadership, and artists functioning as support for their peers and staff, and as changemakers for equity in the arts. We encourage participants to come with a “buddy” from their institution in order to build internal support in continuing your studies or activism within your institutions around racial equity. This is a Bring-Your-Own-Lunch or Purchase-Lunch-Locally event. Breakfast and snacks will be provided. Organizers Tyese Wortham and Cristal Fiel along with racial equity trainer Tammy Johnson are excited to be bringing this invaluable and critical workshop to the EAP Network and greater Bay Area arts professionals at a deeply discounted rate. No one is turned away for lack of funds. Priority will be given to administrators of color working in Bay Area cultural institutions. Contact tyesewortham@gmail.com for questions. Tammy Johnson is a dancer, writer, and equity consultant. After directing electoral campaigns in Milwaukee, Johnson spent a decade advancing racial equity as a trainer, writer, and public speaker at Race Forward. Having gained recognition for her knowledge of equitable public policy practices at Race Forward, she co-produced Race and Economic Recovery with LinKtv and Race Forward’s Wordvideo blog series. 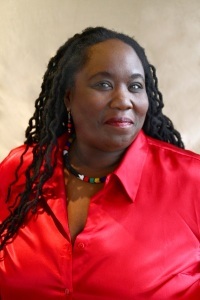 Johnson is co-director of the award winning bellydance duo Raks Africa. MADE is a mini-grant and project support program developed by Emerging Arts Professionals SFBA in 2013. MADE draws on the inspiration and power of the EAP network to propose and help execute a project that addresses immediate solutions of the day, ranging widely from new social modeling, to practices around life/work balance, to new ventures on system theory, to live events dealing with building smarter communities. EAP/SFBA recently announced the second round of its MADE awardees.